Being knowledgeable about the Great War is one thing, but to be able to convey that understanding and knowledge to others is another. We have always enjoyed speaking to people about our interest in the Great War. To do so is a work of love. Almost all our life we lived in the ancient town of Ypres (spelled 'Ieper' in Flemish which is the native language in Flanders, in the north of Belgium). Our passionate interest in the Great War was kindled by fond childhood memories of being taken around the battlefield by our grandfather, themselves veterans of the Great War. Our interest in the terrible battles that ravaged our land between 1914 and 1918 is founded on a humanitarian empathy for those who suffered, as opposed to the finer points of military strategy. 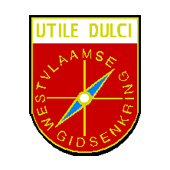 Official degree as a Tour Guide issued by the professional union of tourist guides and associated member of IATM, International Associationof Tour Managers LTD.
Official guide and Member of the "West Flemish Organisation of Official Guides". 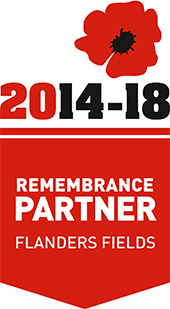 Who is an organisation to study and promote the history (especially World War One), culture, literature, music, architecture and visual and applied arts in West Flanders and North of France. Our tours are conducted in our very comfortable air-conditioned Mercedes Viano minibuses. Complying with the strict European rules and regulations concerning transportation, we can assure you that our company Camalou battlefield Tours, respects all transportation laws, which include regular vehicle maintenance and regular medical control of the drivers ensuring safe travel.